At Smile Magic, our holistic dentist treats you and your family like a personal friend. Your specific dental needs, health background, and future goals are unique to you; you’re more to us than another smile! Dr. Nazir knows what he's talking about and you won't leave wondering what it is you need. Every fear was handed. I have such confidence in his skill. He has state of the art equipment and facility. I would never go anywhere else. Very knowledgable and technology informed group of professionals! Receive your treatment plan for free. 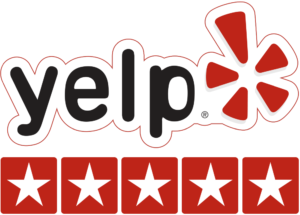 Stop by and find out why people love us on Yelp! At Smile Magic, our holistic dentist treats you and your family like a personal friend. Your specific dental needs, health background, and future goals are unique to you; you’re more to us than just another smile! Dentistry is something that comes naturally to Dr. Ray Nazir (after all, he grew up in a family with six other dentists!) to His holistic approach to oral health care is a breath of fresh air to our patients searching for a dental provider that understands the oral-systemic health connection. We know you have lots of dentists in Orange County to choose from. But at Smile Magic, our team is backed by extensive education, training and over 30 years of experience, just from Dr Nazir, and a collective 50 years if you include his awesome staff. From implementing the best techniques and technology, to ensuring your personal oral health needs are always put first, your family’s experience with us is something we feel you’ll always look forward to. All new patients are invited to schedule a complimentary consultation before committing to any type of treatment. We believe you deserve the opportunity to preview our practice and meet one-on-one with us to determine if we’re the best oral health provider for your needs. Digital impressions for crowns, bridges and veneers to avoid the “goopy” stuff most dentists use. No more choking , gagging and terrible taste. A comprehensive menu of restorative , surgical, therapeutic, and cosmetic procedures for the entire family. Our family practice offers a comprehensive menu of traditional and specialty dental procedures. Because of Dr. Nazir’s extensive training and education and master’s degree in oral surgery, he is highly experienced in offering services that are not typically available in a general practice setting. There is no other dentist in orange county with a master’s degree. From the surgical placement to the final restoration, our traditional titanium and metal-free zirconia dental implant treatments are both beautiful and functional. If you’ve ever had to replace a missing tooth, you’ll be thrilled to know that the investment in an implant could last you for the rest of your life. 3D planning for accurate placement of implants. Dr Nazir is an inventor who created a unique system to place implants accurately, that will soon be a international standard. Sometimes we want our front teeth to look straighter, but options like veneers or bonding aren’t appropriate. Rather than undergo comprehensive full-mouth braces, you can select accelerated orthodontic techniques to align the teeth you see when you smile: just the ones in front! Most of our fast braces patients complete their treatment in under six months. Clear, removable orthodontic aligners make it convenient and comfortable to address the alignment of your teeth and bite. Invisalign and Invisalign Teen offer proven results without any diet restrictions. Plus, you’ll enjoy fewer and shorter appointments throughout the duration of your orthodontic therapy. For a Hollywood smile, our custom dental veneers can help your teeth look instantly whiter, straighter, and properly sized. Veneers address aesthetic irregularities like crowding, gaps, chipped teeth, and staining. In just a couple of appointments, you could have the smile of your dreams. When you experience a common dental problem like a cavity or a cracked tooth, you want a dentist who provides a durable restoration that looks and feels like the real thing. Our porcelain crowns and composite dental fillings don’t just protect your tooth, they restore the aesthetic shape and color necessary so that you can smile with confidence. From custom bridges and dentures to minimally invasive fillings and implants, restoring your smile back to optimal health requires a keen eye, years of experience, intensive training, and an obsessive attention to detail. Our Orange County dental office provides multiple types of general dental treatments to create a care plan that fits your unique situation. Great dental health starts at a young age. Many of our patients bring their entire family to our office, including their young children. Not only is this more convenient for your busy schedule, it helps us to better care for your family’s comprehensive oral health needs! If dental implants are not for you because of gum disease, previous extractions or other reasons, PRP therapy may be the right treatment for you. Bone grafting and reconstruction can repair these areas by means of adding bone and by stimulating new bone growth. In most cases, it uses your own blood so is safe and convenient. PRP therapy speeds up the healing process to create higher success rates. Dr. Nazir has over 30 years of experience as a dentist. After completing his dental studies abroad, he earned a Masters in Oral Surgery degree in London, from the one and only Eastman Dental Institute, finished the first part of an intensive fellowship certification from the Royal College of Surgeons in Ireland, before he fell in love with this beautiful state, and studied another 2 1/2 years in the US to receive approval to practice dentistry in the states. After working as a dental associate and frustrated with the current systems of dental practice he had experienced, he envisioned a special practice with the highest standards, and in 2002 created what is today one of the finest dental practices in the state. As one of the most experienced dentists in the Orange County area, Dr. Nazir and the rest of the Smile Magic team have the knowledge and skill necessary to provide you with the highest quality of care. If you’ve been considering Implants, periodontal plastic surgery, Invisalign, thinking about a smile makeover with dental veneers, are curious about our oral sleep apnea appliances, or just want a second opinion about getting a crown, you’ll be thrilled to know that we offer complimentary dental consultations at each of our locations. Contact us today to schedule a no-pressure evaluation and visit with our experienced holistic dental team!